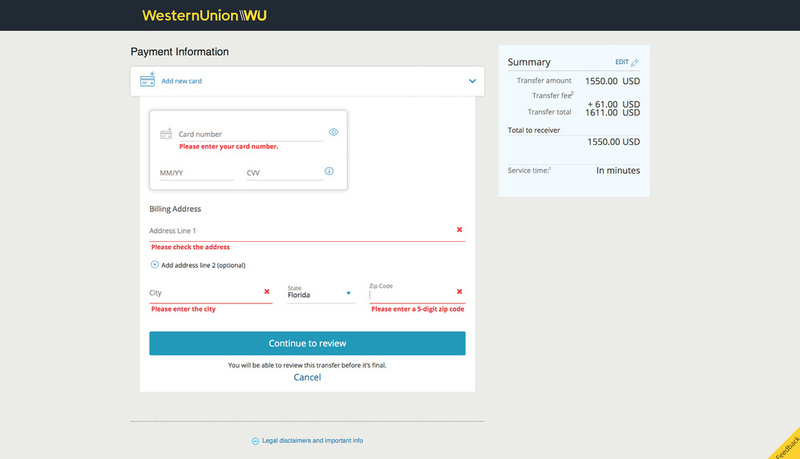 After submitting your reservation with us select western union payment option. Upon submitting your reservation you will be given the data required to complete this tutorial. 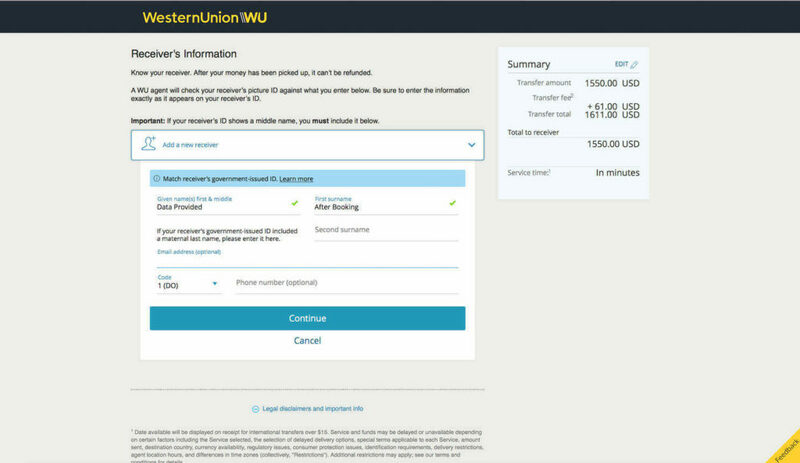 Go to Western Union and click “Send Payment” button, this will bring you to the Payment amount details page, be advised you cannot send more than 5k using this method, In case your reservations surpasses this amount , just send maximum amount of 5k and bring the remaining balance in cash. After registering or signing in, the next step is to provide our representatives name who will make the pickup, this data will be provided to you after submitting your reservation with us! 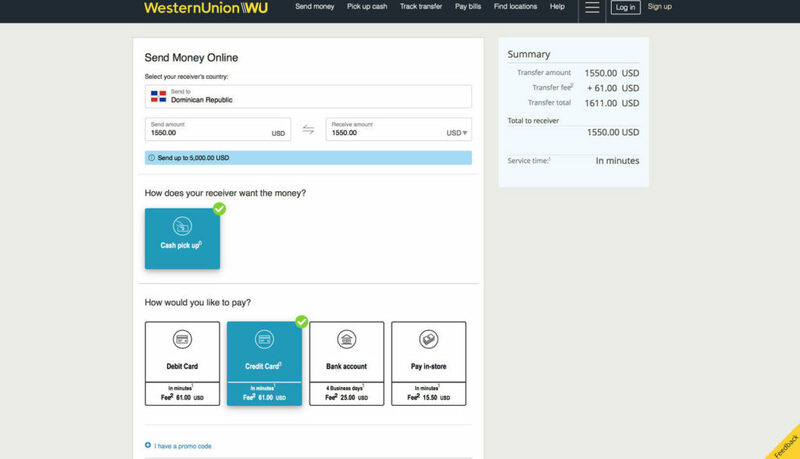 In this step you will enter your credit card information and will click “Continue to review” button to check your payment transfer. Once you review your information for errors you will then click submit to finalize your order. Upon success, We will then need you to forward your receipt to caribbeanrelax@gmail.com and be sure to include your reservation number in the Subject of the email. Once money is picked up we will confirm your reservation with a confirmation email. After submitting your reservation with us select Bank transfer payment option. Upon submitting your reservation you will be given the data required to complete this tutorial.